A Canadian federal court ruled in favor of Nintendo of America Inc. in its case against Jeramie King and his affiliated business, Go Cyber Shopping Ltd. The case confirms that the distribution of circumvention devices – “flashcarts,” “modchips” and “game copiers” such as Sky3DS, Gateway 3DS and similar devices – is illegal. In a strong rebuke to the defendant’s activities, the court awarded Nintendo $12.76 million (CAD) against Go Cyber Shopping Ltd., including $1 million in punitive damages. The case is the first of its kind to test the Canadian Copyright Act’s Anti-Circumvention law and resulted in a resounding win for Nintendo. Through a storefront and multiple websites that he controlled, King was a prolific distributor of large quantities of game copier devices and modchips, and also offered hardware-modification services. 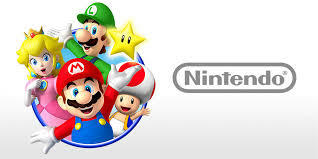 Game copiers and modchips enable users to circumvent Nintendo’s console security to download and play illegal copies of video game software in violation of Nintendo’s copyrights and trademarks. After years of routinely boasting of his activities on social media, King will now be forced to issue an apology on his website for the damage that he caused to Nintendo, its developers and partners. For more information about Nintendo Switch, visit http://www.ninitendo.com/switch.